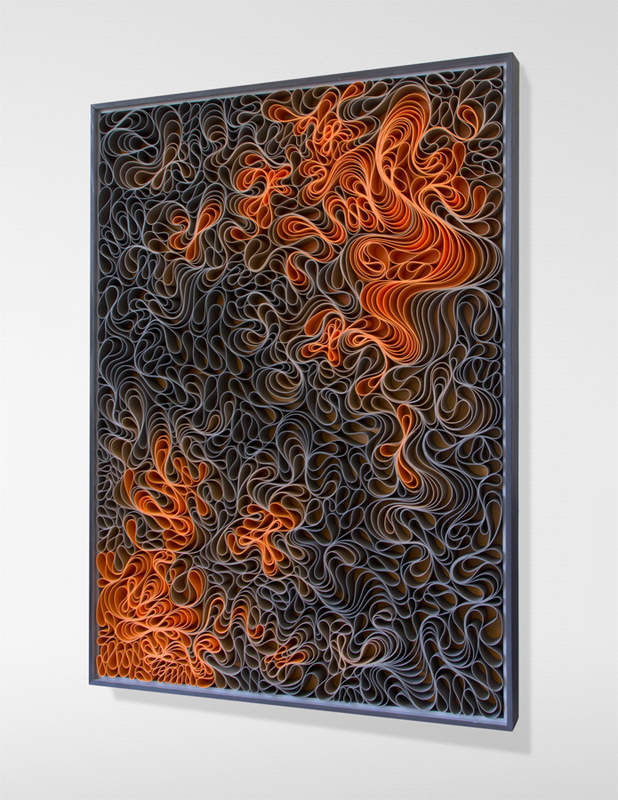 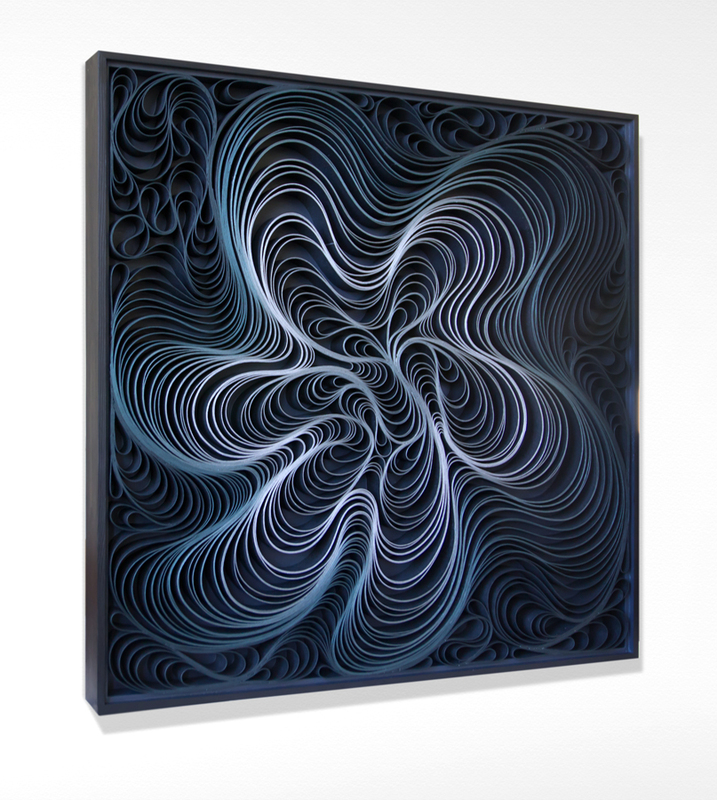 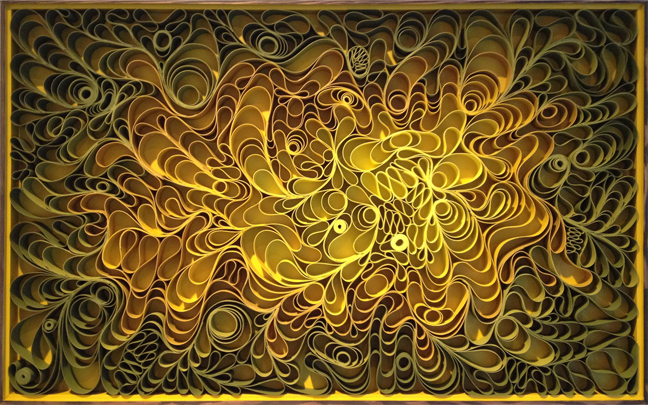 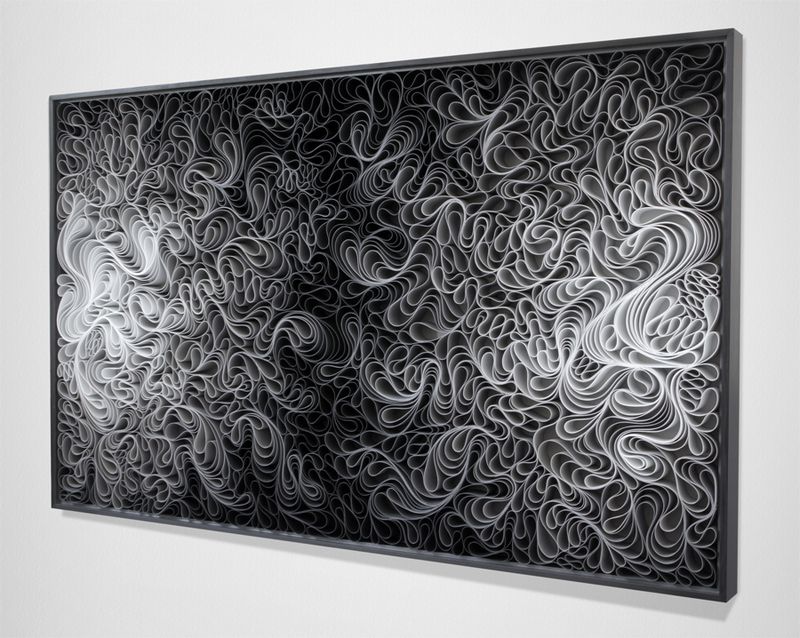 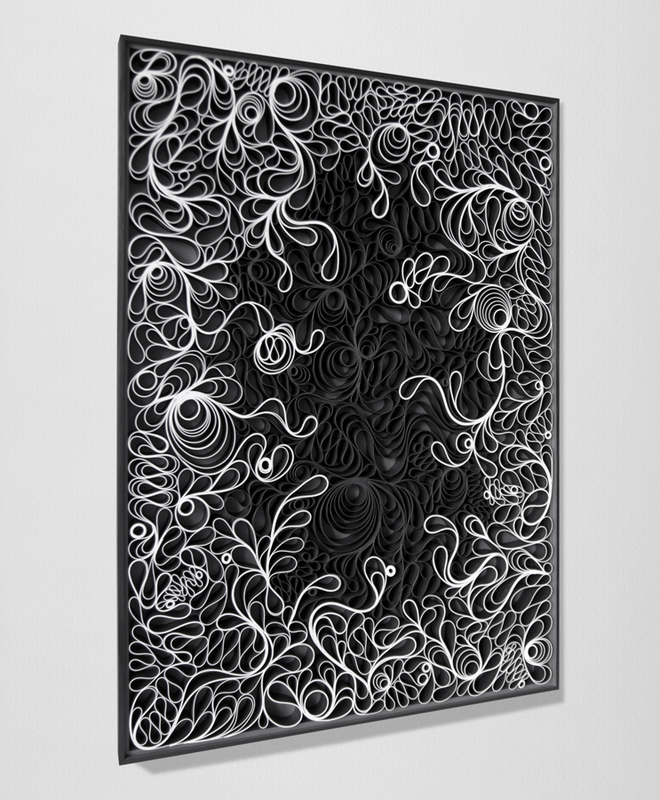 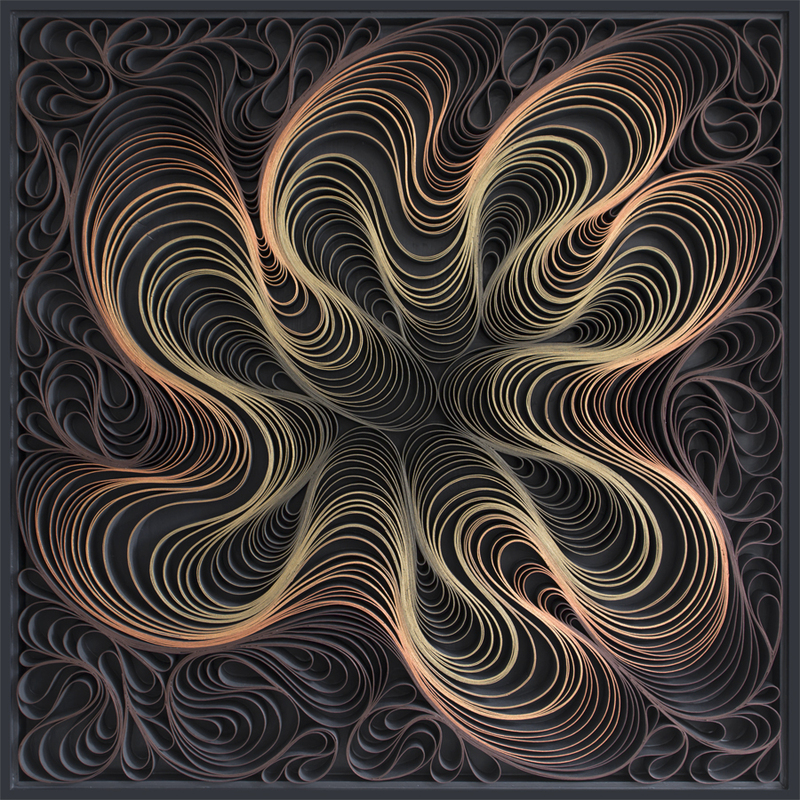 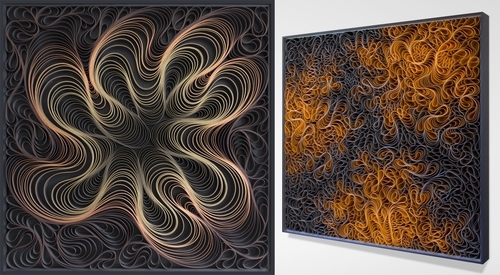 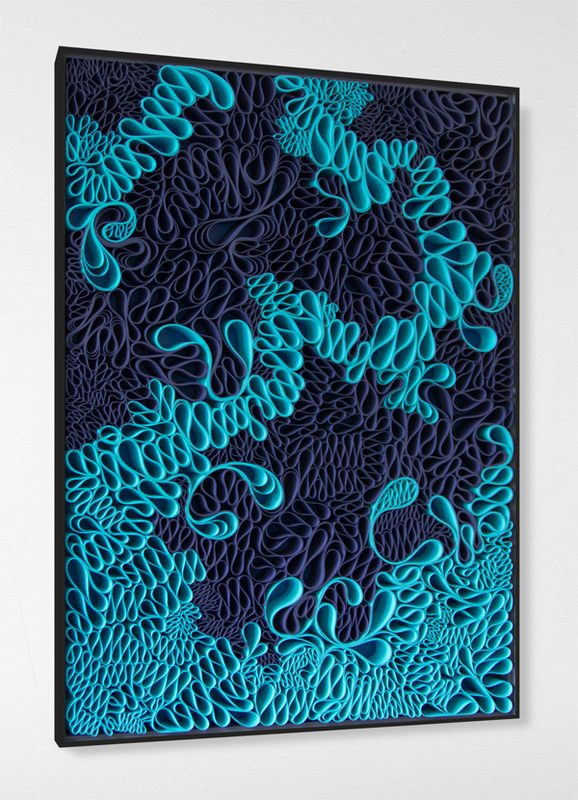 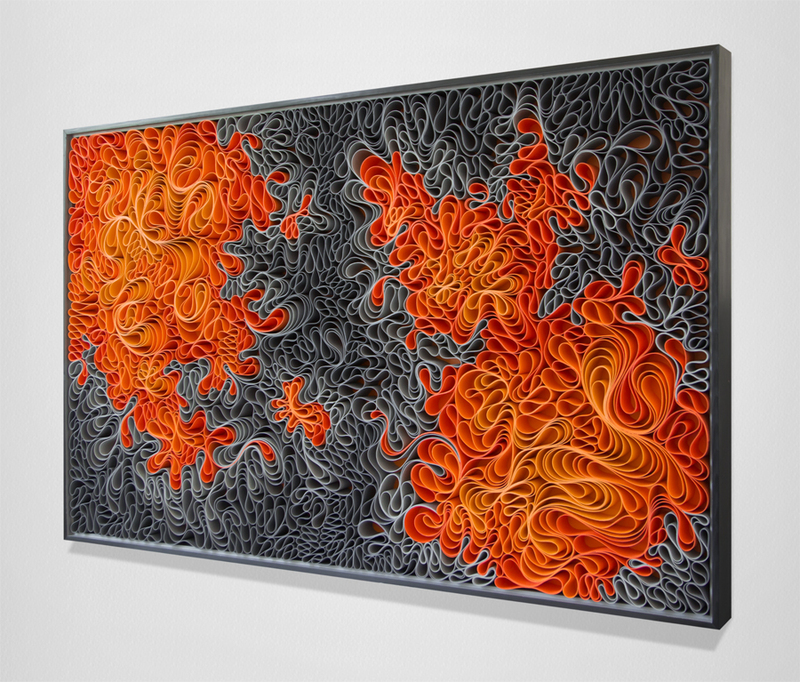 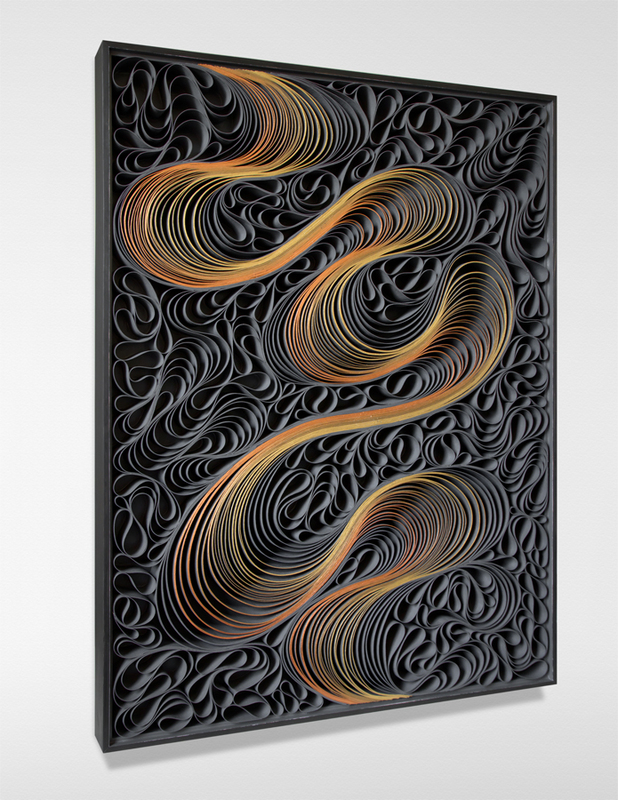 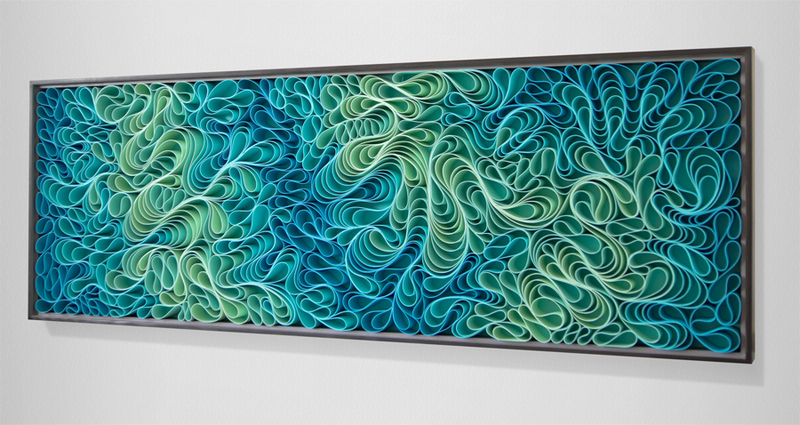 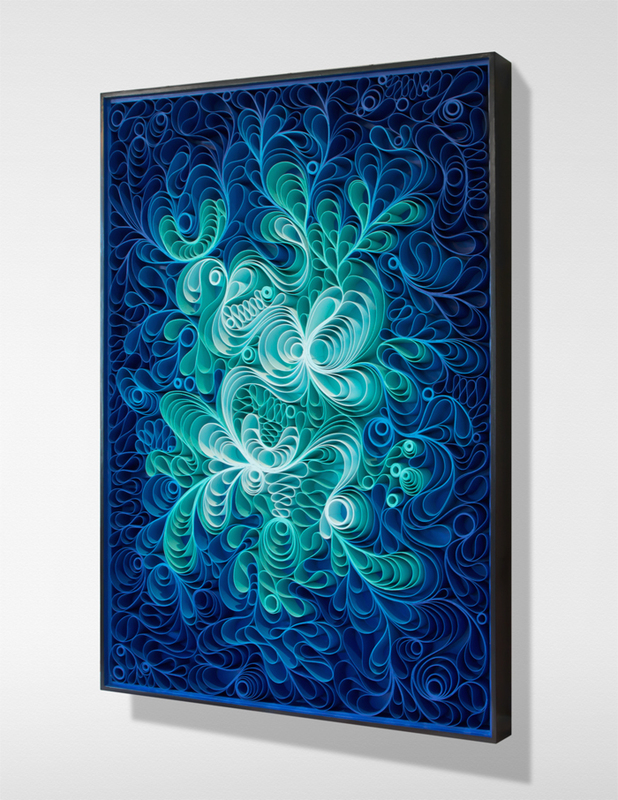 Stephen Stum + Jason Hallman = Stallman (the name of their company) are partners in life and in work, they work together to produce their art that closely resembles Quilling. 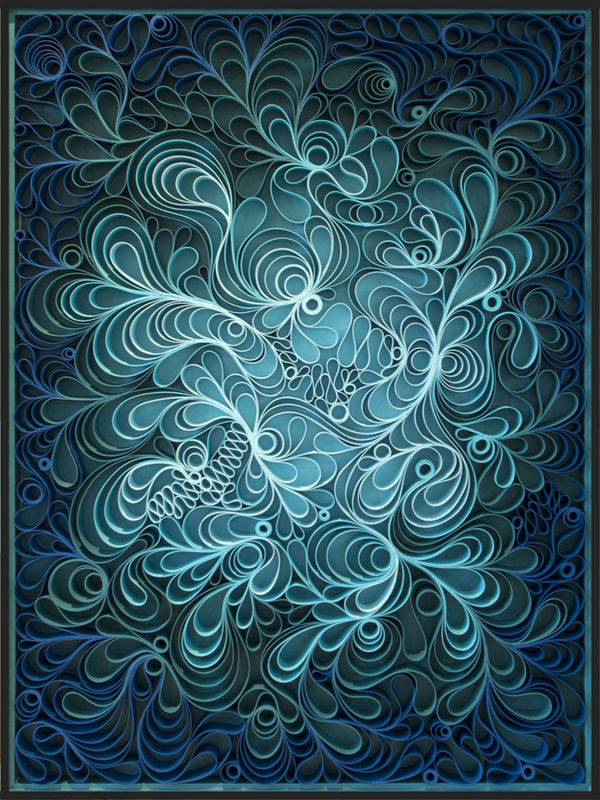 Quilling is rolled paper or card which is positioned to create intricate shapes. 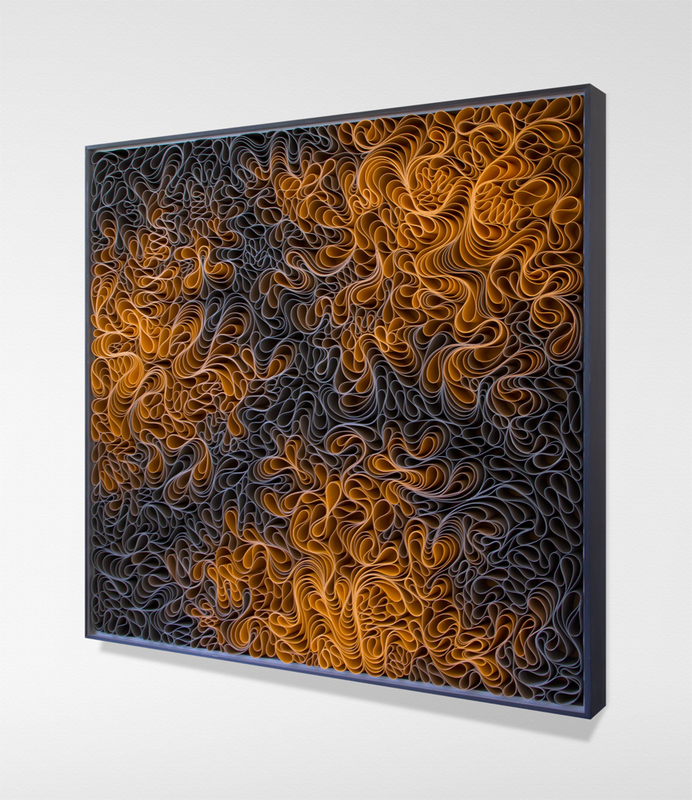 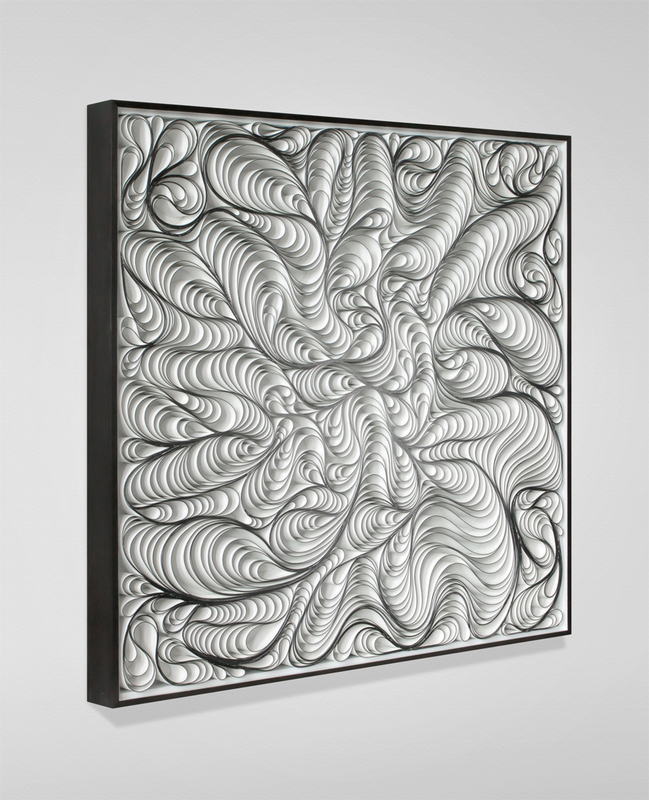 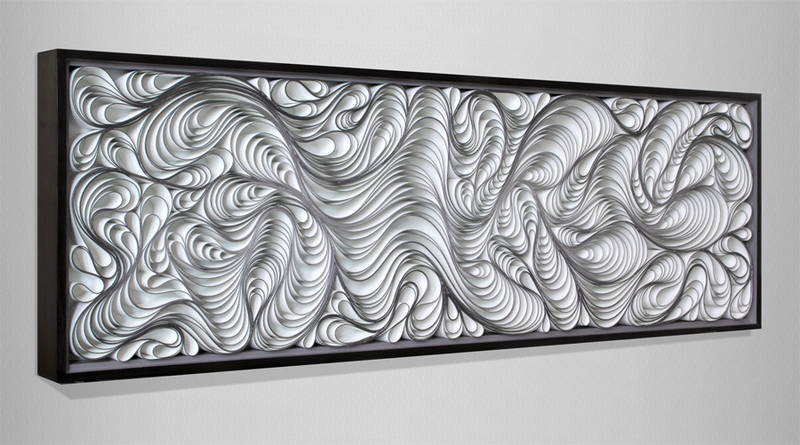 Stallman use painted canvas to play with the definitions of sculpture and paintings, creating these beautiful abstract creations. 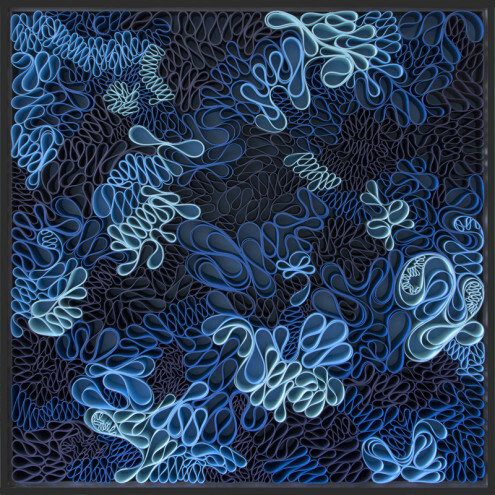 They use the background colors and the colors on the painted canvas strips, to bring about beautiful effects as the light reflects off of them, giving life to hues and shadows that change as your position in front of the piece changes. 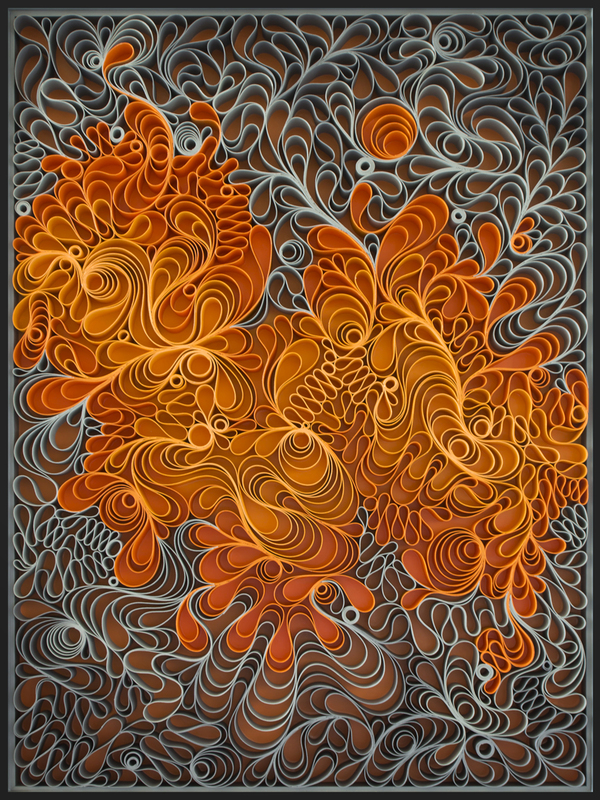 Lovely patters and colors but, the only way to receive the full experience, seems to be in-front of one of them. 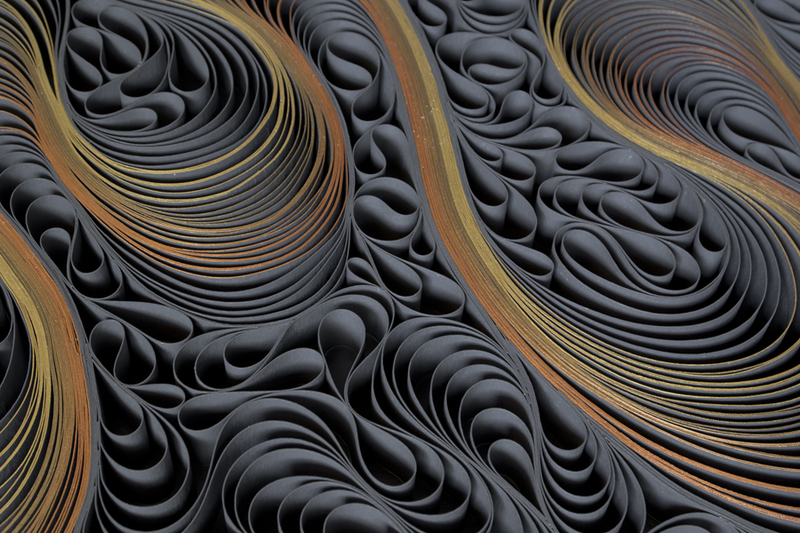 If you key in quilling in the search bar in the top right hand corner of the page you will find many more quilling posts on DesignStack. 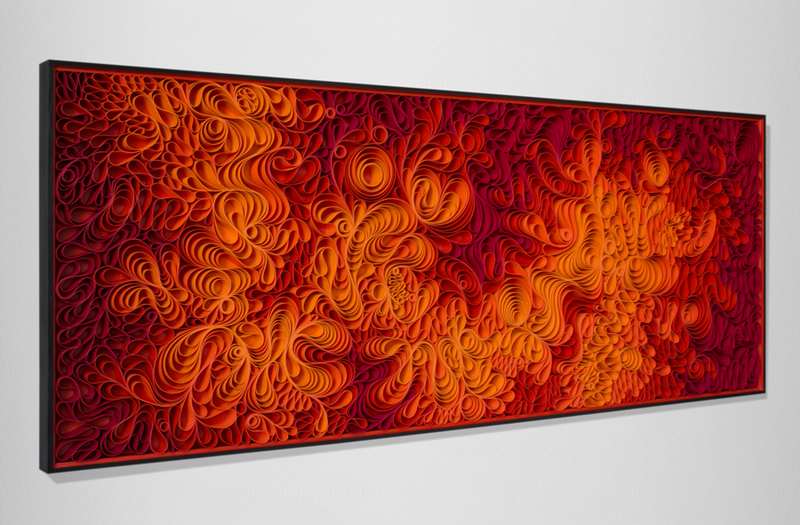 In the Heart of It. 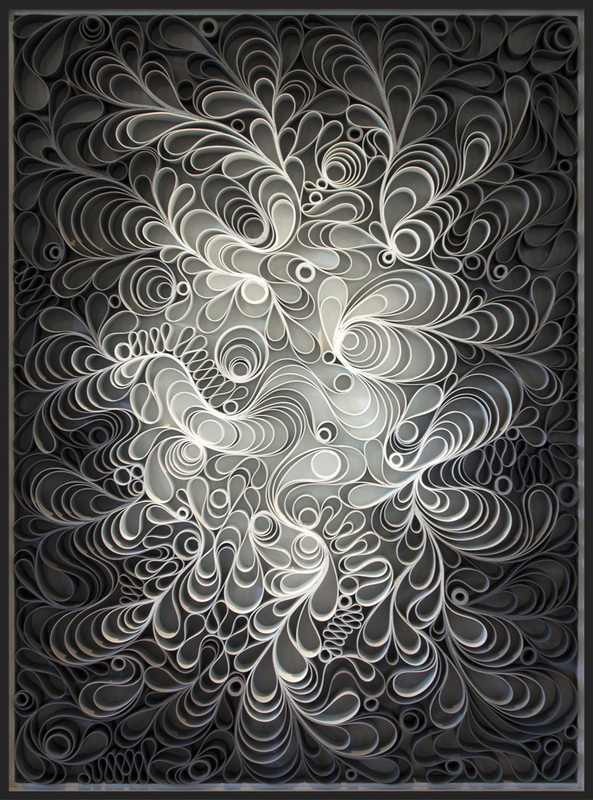 In the Heart of It, detail. 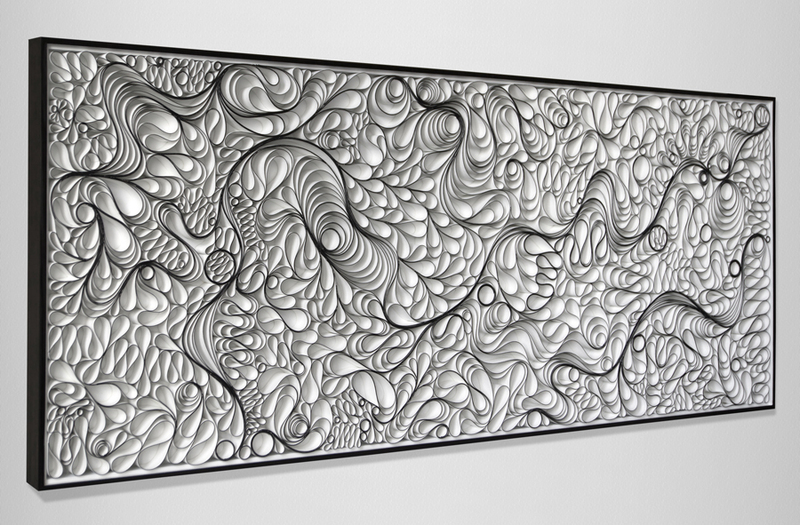 Good Luck and let us know if you are successful.